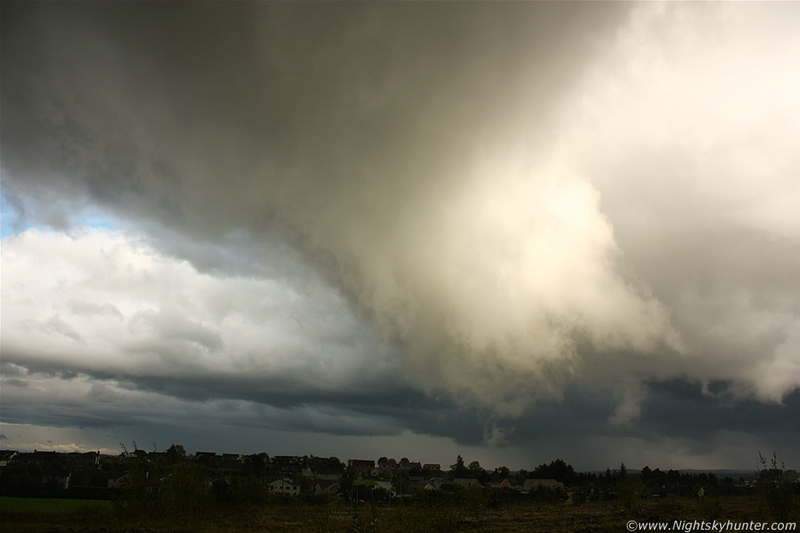 This was within 200m from my house!, a large rotating wall cloud and broad barrel funnel cloud going crazy near Maghera on September 16th 2011 under the flanking region of a very strongly sheared late afternoon high precip thunderstorm. The rotation combined with the vertical upward reverse-waterfall high speed motion was astounding to watch within such close proximity, this came very close to a touch down, read the report for more information. * All images are available for sale in the form of photo prints, canvas or digital files for licensing, if you are interested in a purchase simply drop me an email.